When it comes to things we would like to change about our natural appearance, a common desire is to have fuller, plumper lips. The thing is, cosmetic surgery and botox injections aren’t the best things to put our bodies through. In fact, there are many instances where these procedures are botched, meaning the end result is worse than before the procedure. If you weren’t aware, there are many different ways to get bigger lips naturally without going through expensive procedures like surgery or dropping lots of money on “lip plumping” products. Not to mention, these things can be harmful to the body. This is why we’re going to share with you some of the best natural methods to achieve fuller lips. Thin lips, or lips that just don’t meet your standards can be frustrating. While wanting to look better may be superficial, it doesn’t hurt anyone or yourself to naturally achieve bigger lips for your own self-confidence. 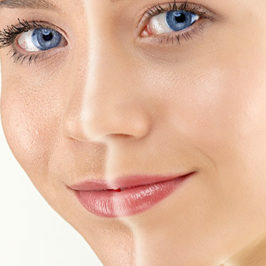 We all know that exfoliation involves the removal of dead skin cells. Believe it or not, there are dead skin cells that can be removed from the lips as well. Exfoliating the lips helps to rid the lips of impurities while at the same time giving them a pinker, smoother appearance. You might be wondering how this helps lips appear “fuller”. Because exfoliation naturally helps improve circulation, this will help lips swell up temporarily. Keep in mind, exfoliating your lips should not be overdone. It’s also important to keep lips moisturized and to drink enough water to prevent them from becoming chapped. If you’re someone who has naturally darker lips, the exfoliation can be desirable since the process can help give your lips a lighter, pinker appearance. Using a sugar scrub is one of the most popular methods of lip exfoliation. We think it’s because it tastes so good. Rub the following sugar scrub on your lips for up to 5 minutes to get bigger lips naturally for the day. Keep in mind that it’s possible to experience a little bit of irritation with this scrub. Once you rinse it off, you should notice that your lips appear to be pink and full. This is thanks to the improved blood circulation. It might sound weird, but you can use a toothbrush to help exfoliate your lips. 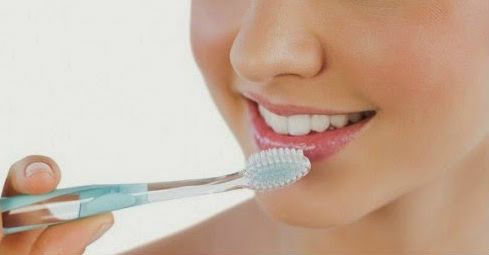 The most important thing to remember about this method is that you should use a new, soft-bristled toothbrush. This is to make sure you don’t get an infection or accidentally injure your lips. Exfoliating lips with a toothbrush is done exactly how you think it would be done. Make sure to get the brush wet with some water, preferably warm, and brush the lips gently. You can also use the toothbrush to apply the previously mentioned sugar scrub, giving you double exfoliating action. Using vaseline, honey, or coconut oil on your lips after brushing them can give your lips a beautiful, natural shine. This isn’t as fancy or effective as our previous methods, but it still works. Using a washcloth to exfoliate your lips is very simple. All you need to do is wet a clean washcloth with warm water, then rub your lips gently. Be careful not to rub too hard so you don’t injure your lips. Like exfoliation, massages also help to improve the blood circulation where it’s done. Here are some ways to massage your lips to get them to appear fuller. Using ice on your lips is a simple trick that pretty much anyone can do. Just place some ice in a piece of cloth before massaging your lips. You can massage your lips with ice for up to 10 minutes every day without experiencing any negative effects. The end result should be fuller lips that have more coloration. A concoction of lemon juice and a few drops of water can be very effective for achieving that desired pout. Some may even say that this is the best method. By massaging your lips with lemon juice mixture, you swell the lips up as well as remove oil and dirt. This makes for a nice lip cleanse. Aloe vera has a very special place in the health and beauty world. We can’t be upset about that, though, since it provides so many solutions to simple, day to day problems. Simply massage the lips with aloe vera gel to absorb its antioxidants. This will help lips appear bigger and feel softer. Aloe vera is also effective in treating fine lines, making it a great choice if you’re older and want to prevent wrinkling. Essential oils are amazing and should be a part of your everyday life. But for now, we’ll share with you how they can help you achieve bigger lips naturally. The great thing about essential oils is that they’re inexpensive, for the most part gentle, and are very effective. You can also carry around essential oils easily in your purse. The most important thing to note with essential oils is that they should NEVER be consumed internally without dilution. Some oils aren’t recommended for internal consumption even when diluted. So keep those little bottles away from kids and be careful when applying to your lips so you don’t ingest any by accident. Peppermint oil naturally improves blood circulation and causes the lips to swell, giving them a fuller appearance. The oil will also tint the lips a slight rosy color that many people like. You may feel some slight irritation, but it is not harmful. It also has a cooling sensation since it’s peppermint. Use peppermint oil by diluting a drop or two with coconut oil or by mixing it with your preferred lip balm. Always make sure to not use too much as it can be irritating. Cinnamon essential oil is actually found in several lip plumpers found over-the-counter. This is because it naturally promotes blood flow for a swollen, rosy appearance. Use this oil in the same way you would use peppermint oil. It may burn or sting for a moment, though this should leave shortly. Enjoy the cinnamon scent with your plump lips! This oil should be used sparingly as it can burn the lips. Just like the other oils we mentioned, capsicum and cayenne pepper essential oils promote blood circulation and help naturally plump the lips. Only use 1 or 2 drops in a mixture with a tablespoon of coconut oil or cocoa butter. You can also mix 1-2 drops with your favorite lip balm or Vaseline. If for any reason you get too much of this oil on your lips or skin, use a carrier oil such as coconut or olive oil to dilute it, then rinse the area with water until the burning sensation stops. Remember to be careful. It might sound silly, but there are many great exercises you can do to help get bigger lips naturally. Not just that, but you can help tone your face or even remove a double chin. This could not only help plump the lips up, but it can also help get rid of wrinkles and give a younger appearance. Have fun with these exercises by watching yourself in the mirror while doing them. You can also find a friend to do them with or convince your significant other to try these out with you if you don’t want to do it alone. The thing about lip exercises is that you need to have the dedication to see results. This means you should be doing them daily for at least one to two months, then regularly continuing exercises to maintain the look. It sounds like a lot, but it will only take 10 minutes of your day and these exercises are very easy to do. Smile as big as you can with your lips sealed for 5 seconds. Then pucker your lips hard for 5 seconds. Do this little routine 20 times for an effective lip exercise that gets the blood flowing to your lips. Bring the lips together to “blow” a whistle. It should be similar to how a flute player plays the flute. You can also just do a regular whistle. Even if you can’t actually whistle, do the motions to exercise your lip muscles. Do this for 5 minutes for a full whistling exercise. It sounds difficult, but once you do it you’ll see how easy it is. First, you need to press the lips firmly together. Move the lips to the left or right side as much as possible. Hold it there for 5 seconds. Bring the lips to the other side and hold there for 5 seconds as well. Do this 15 times for a full side to side routine. For a rotation exercise, push the lips out into a kissing position. Rotate the lips clockwise twice, then counterclockwise twice. Repeat this 10 times. While this isn’t necessarily a natural method, makeup is a way to get your lips to look bigger without using lip plumpers or undergoing a procedure. The basic way to do this is by applying a lip liner that is darker than the lipstick you’re using, then applying a glossy layer over the lipstick to add shine and depth. Don’t forget that proper maintenance and care is important as well. Make sure to follow the following tips to keep lips looking the best they can. Make sure to keep the lips clean. 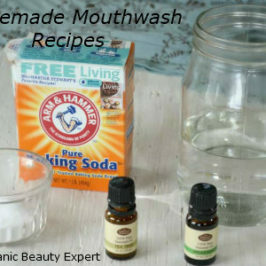 That means rinsing the mouth or washing your face after eating to keep oils, grease, and dirt off. Follow the exercises regularly (a couple times a week) to keep lip muscles strong. Only use natural methods to achieve bigger lips so you don’t experience negative side effects. Keep lips moisturized daily with the use of natural lip balms, coconut oil, grapeseed oil, and even honey. Drink enough water to prevent them from drying out and becoming chapped. Eating a healthy diet is the best thing to do for your lips and your entire body. Use your favorite lip balm, gloss, or lipstick after plumping your lips for the best results! Now that we’ve gone over all of the natural tips and methods to get bigger, fuller lips naturally, we want you to try them out for yourself. These tips are natural, affordable, and can be done without experiencing bad side effects. Try a new method every day and figure out which one is your favorite.